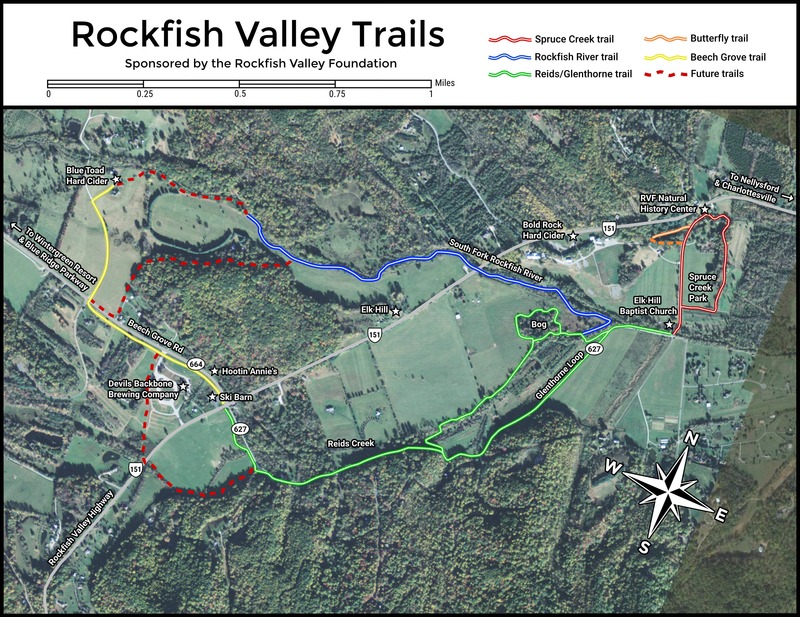 Our network of trails provides public access to the South Fork of the Rockfish River and Reid’s Creek. Parking is available at both Spruce Creek Park and Rockfish River trailhead. Currently, the red trail (see map above) through Spruce Creek Park is open. 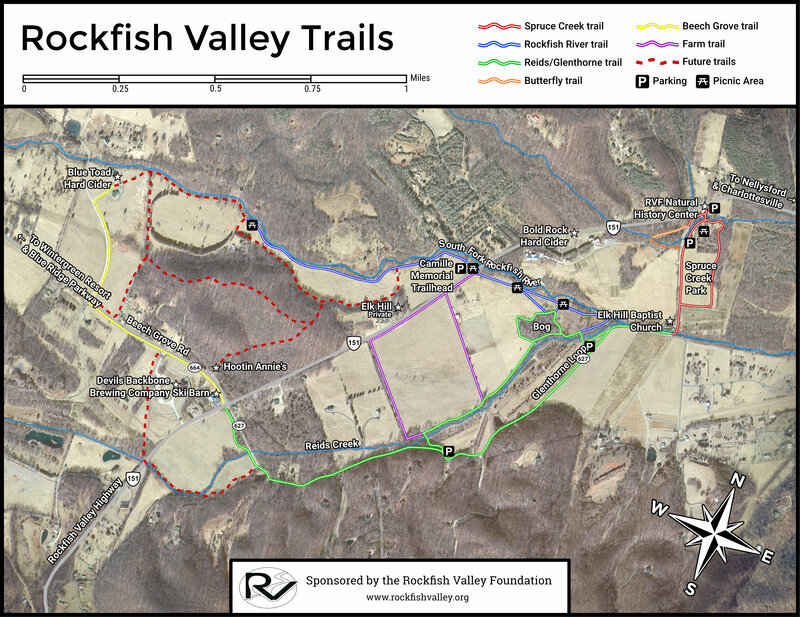 The blue trail from the 151 / Rockfish River trailhead to Glenthorne Loop and Reid’s Creek is open, but not yet a full loop. Don’t disturb the rocks, plants, or animals. Refrain from throwing anything into the creek. Take out what you brought in and do your neighbors a favor and pick up a piece or two of trash if you see it. Start and return from Spruce Creek Park. From 151 (Rockfish Hwy) parking lot: Cross foot bridge over Spruce Creek and turn left. From 627 (Glenthorne Loop) parking lot: head towards history center and turn right before foot bridge. – Follow the fenceline of the farm around to and along Route 151, then along the Rockfish River back to the pole bridge over Reid’s Creek (1 mile loop and ½ mile back to S.C.P. ).